Contest valid for US and Canada only! Winner will be picked during a livestream this Saturday! Get your own 26″ MLP Plushes! 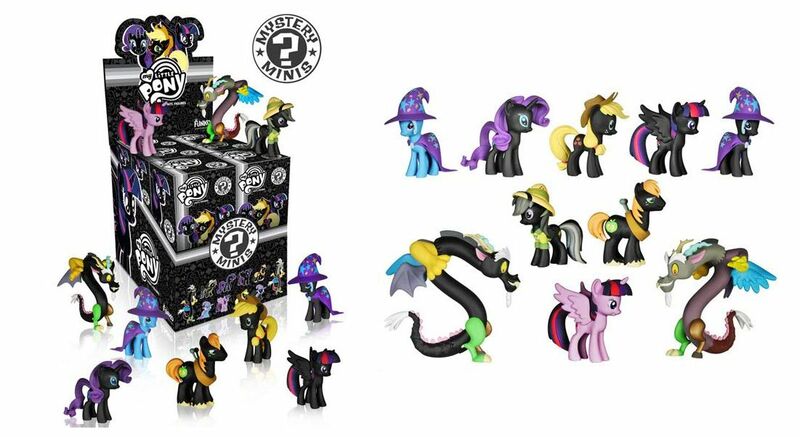 Funko has announced the second wave of My Little Pony minis today. Which include fan favorites Discord and Daring Do. The second wave will hit store shelves this August, so keep your eyes peeled. Be sure to follow Funko on Facebook or Twitter and be on the lookout for these toys in your local shops. Two new Disney lines of Funko POPS have just been announced. 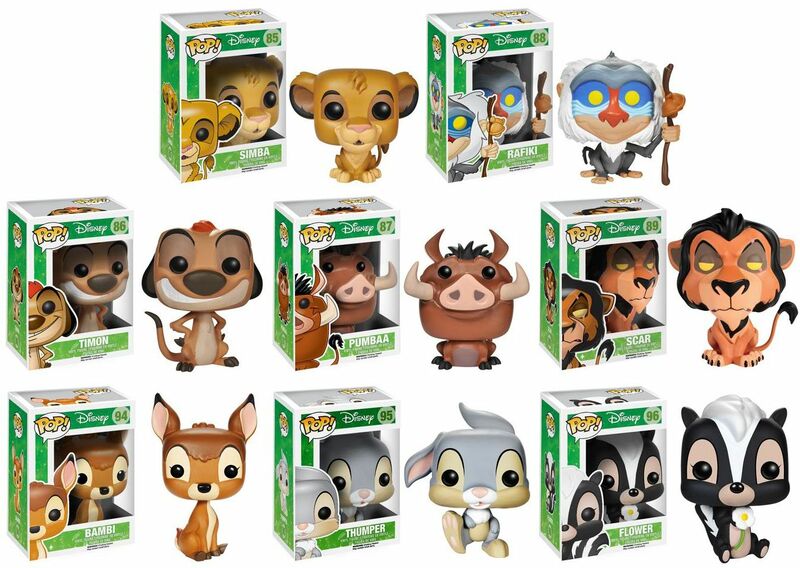 The Lion King and Bambi POP figures will be hitting store shelves this August. Bambi wave includes Bambi, Thumper and Flower. What’s this? What’s this? Some new Re-action toys? Funko has recently announced that they will be releasing a new line of Re-action figures for my favorite animated movie The Nightmare Before Christmas. The first wave includes not one, but three different Jack Skellington’s, Sally, Mayor, Behemoth, Barrel and Devil. The series will be hitting stores this August, so be sure to pick them up. You read that correctly, Funko is really spoiling us this year. Funko has just announced that they will be adding the heartwarming characters from Frozen to their popular line of POP! figures. Included in the first wave is Elsa, Anna, Olaf, Kristoff and Sven. These little toys are absolutely adorable and are a must have for any fan of the film (Including myself). Firefly ReAction Figures Coming in August! Remember those classic Star Wars figures by Kenner? Remember the short-lived but excellent sci-fi series Firefly? Well, Funko the people behind those absolutely awesome and adorable POP! figures have a new line of toys coming out in August! 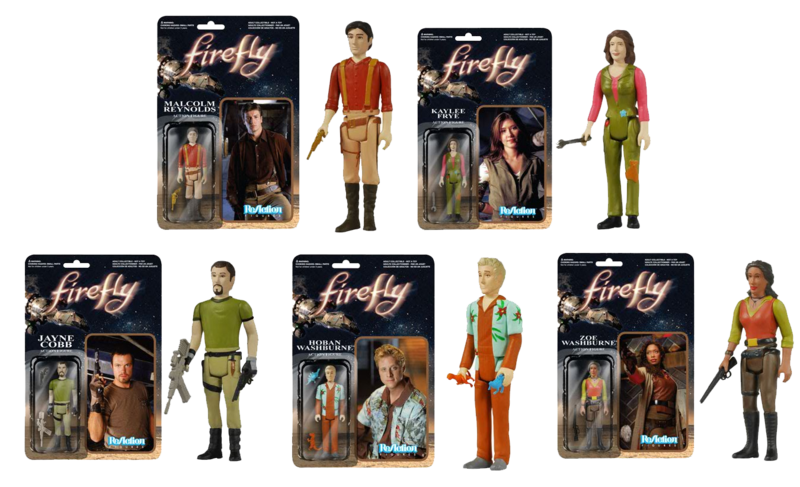 Similar in spirit to the Kenner Star Wars figures the “ReAction” Firefly series one includes: Mal, Kaylee, Jayne, Wash and Zoe. Be sure to go and follow Funko on Facebook or Twitter to get updates on their awesome line of toys!